These are two nice DIY projects from George Plhak's blog. Venting clothes dryers to the outside is very wasteful. It wastes the heat contained in the vented air stream, much of which could be recovered for space heating. And, venting the air to the outdoors causes new air to be pulled into the house which then has to be heated to the house temperature by the furnace. The energy wasted can be as much as 4 KWH per dryer load -- clearly one of the largest potential home energy savings available. While there are various approaches to recovering dryer heat, the simplest one is to just vent the dryer air stream inside the house. One problem with this is capturing the lint in the dryer stream so it does not end up in your house. George has worked out a nice way to vent to the inside and to capture the lint using a furnace filter. 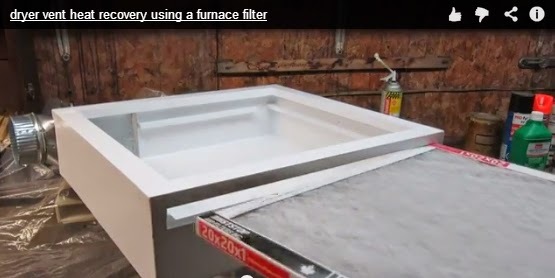 The furnace filter provides a lot of filter area, is easy to replace, and is inexpensive. 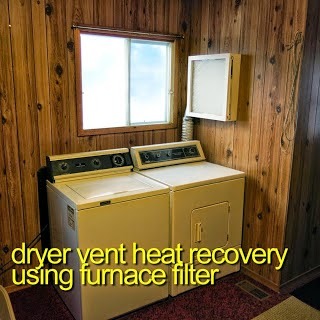 The dry vent filter box is on the wall next to the dryer. The filter goes in a slot in the box. Important Note: For some climates and some homes, venting the dryer inside can result in moisture problems, so if you go this way, be sure to monitor the situation after you starting venting inside. Also, this is for electric dryers only -- gas dryers should never be vented inside. 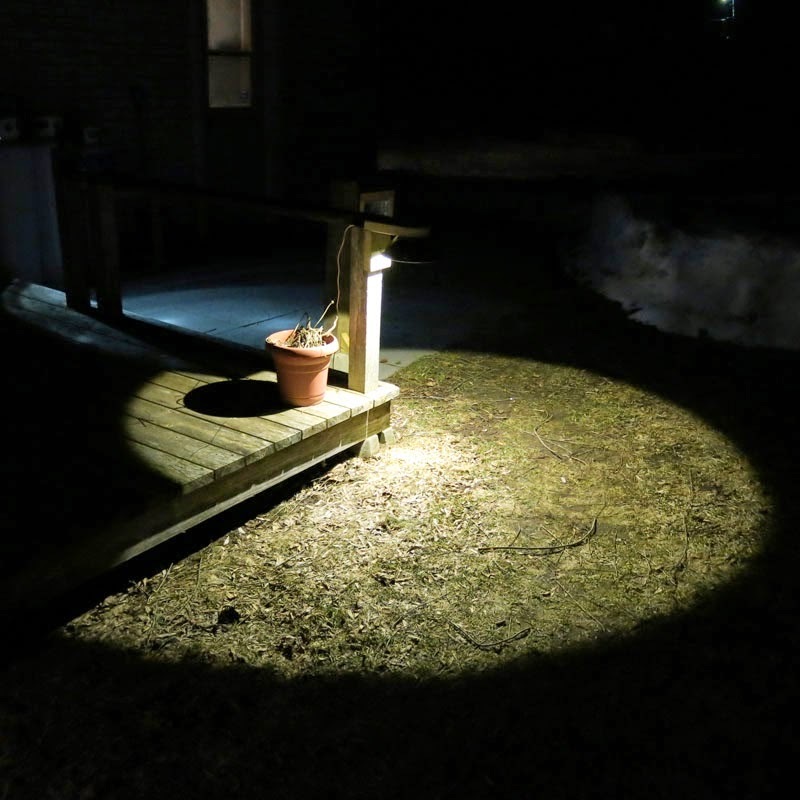 This is a very nice design that uses inexpensive and recycled parts to make a low energy use (LED) garden light that does not allow any upward light radiation that would pollute the night skies. It uses a used stainless steel mixing bowl and a jelly jar to hold the LED and reflect its light downward toward the ground. Makes a very nice light pattern on the ground. 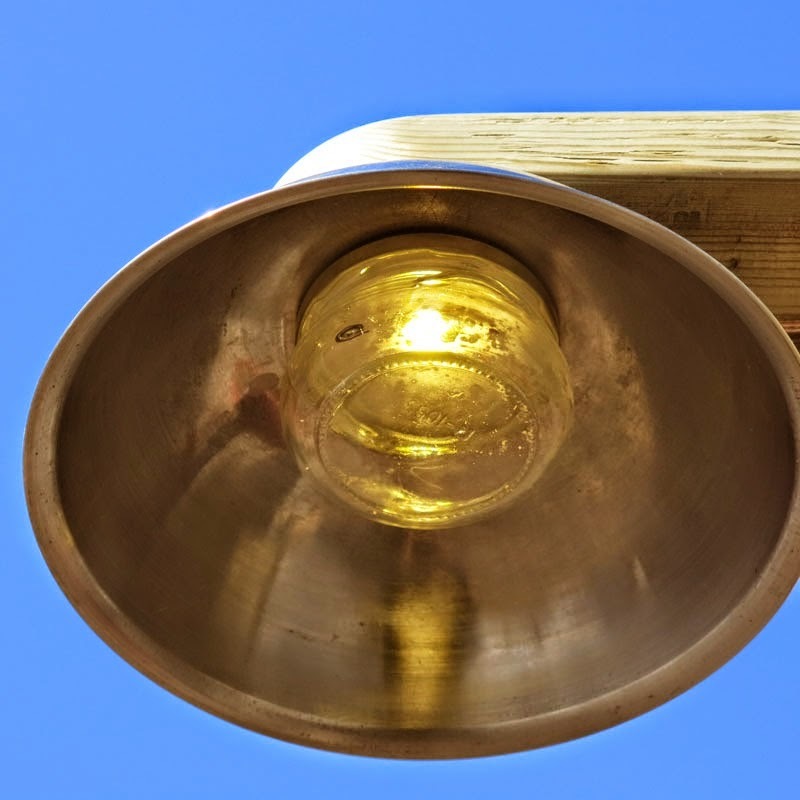 George's blog has a lot of interesting material, including his extensive work on a DIY concentrating solar water heating collector.